Office and commercial cleaning services are an important investment for any business. Not only do employees benefit from a well-cleaned environment, it can leave the right impression on customers, suppliers and anyone who visits your workplace. The importance of a clean work environment is not often something that is top of mind – until you encounter an office or commercial space that is not clean! First impressions count and can even cause you to lose business or sales. One of our employees was recently shopping in a retail outlet that had not been properly cleaned the night before by a commercial cleaning company. On the carpet there was fluff, discarded price tags and general dirt. Staff working at the store were madly racing around in a panic to clean up the most obvious mess as customers walked through the door at 9am. One customer who had a young child in tow quickly exited the store, as it was not a hygienic environment to allow them to crawl and walk on the ground. The end result was obviously stressed out staff, disappointed customers, and lost sales for this retail store. Commercial cleaning services should not be a source of stress for your business. As per the example above, first impressions of your workplace are extremely important. 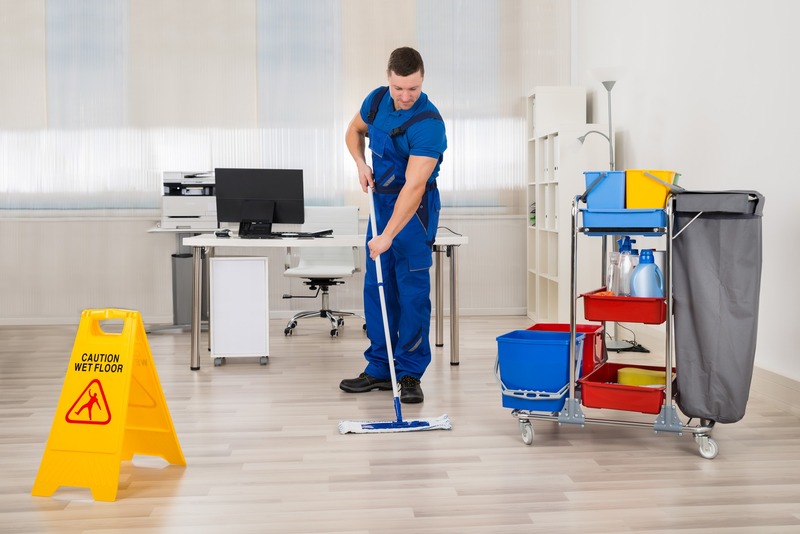 Customers, staff, students, suppliers may not necessarily notice a well-cleaned workplace initially, but they will definitely notice a poorly cleaned one. Commercial cleaning services should always help convey a professional image of your business on a consistent basis. Office cleaning services can help maintain a hygienic environment for your employees, reducing the need for sick days and staff absence. Phones, computer workstations and meeting rooms can be prime areas for germs to collect and be passed between employees. High-quality commercial cleaning companies ensure these areas are properly cleaned and disinfected. any business. Why not invest in a high-quality office cleaning company so your staff can bring their best selves to work? Miracle Cleaning Services are a leading commercial cleaning company in Melbourne. Over 100 cleaning clients including office cleaning and commercial clients choose Miracle to help maintain a professional image and healthy workplace for their business.